Angels are real and with us today! Whether they actually have wings or are simply God’s pure thoughts passing to mankind is up to your imagination. At this time of year, we are reminded of the Christmas story. Now this story couldn’t be told without including the incredible guidance of the angels. We can follow the hand of the angel Gabriel back to Zacharias when the angel delivered that long awaited loving message. Gabriel brought the news that Elizabeth, Zacharias’ wife, would bare a son named John even though both Zacharias and Elizabeth were in their senior years. Zacharias had a difficult time believing this news so, as a protection, Gabriel silenced Zacharias’ speech until John The Baptist was born. John would grow up and would go to prepare the way of the Lord and lead many people out of darkness to the light. Gabriel then brought the amazing news to Mary that she, being a virgin, would bare the son of God. Mary meekly accepted Gabriel’s message fully believing in Gabriel’s words. Mary was espoused to Joseph, who after learning the Angel’s news to Mary, had a little difficulty believing in the seeming miracle. An angel then appeared to Joseph in a dream assuring Joseph of Mary’s innocence and purity and telling him to take Mary as his wife. As we all know, Joseph accepted the news from the angel and Mary and Joseph were married. Angels guided and protected Joseph and Mary, Mary being great with child, as they made their way from Galilee to Bethlehem where she would deliver. King Herod, being greatly troubled by the news of the coming of this new King of the Jews, commanded his men to go out and find this child. But the Angels continued to watch over and guide Joseph and Mary out of the reach of King Herod. The Angels then appeared to the shepherds and directed them to come that very night and see the newborn king in Bethlehem. The Angels led the wise men to the Christ Child. The Angels orchestrated every detail in this beautiful story. They even gave Jesus his name. The detailed footsteps of the Angels serve to show us that in the same way the angels guided and protected Jesus, they are here now guiding, teaching, and protecting us. 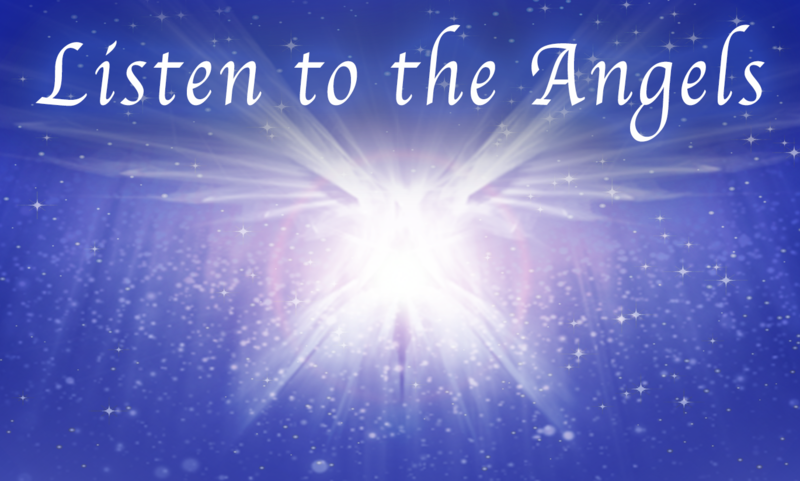 Tune your ears and listen for that meek voice of the Angels. Angel thoughts are constantly with us and they are here to lead us out of the depths of sin, disease, and death to greater and greater heights of joy and peace. I truly loved receiving this message of our loving Angels, Gods thoughts, caring for us. Love this series and deeply appreciate receiving it. Thank you. We’re glad to hear it! Our desire is that this is helpful to your spiritual growth. Thanks, wonderful ideas focusing on those angel instances. We’re glad you enjoyed it! God’s thoughts are being communicated to each of us, individually. Blessings!